Dan Pedersen comes to us with 25 years of experience in automotive, powertrain, heavy duty vehicle and hybrid engineering, including nearly five years as a task leader at the Renewable Fuels and Lubricants (ReFUEL) Laboratory, part of the U.S. Department of Energy’s National Renewable Energy Laboratory (NREL). Dan has a Master’s in mechanical engineering from Michigan Technological University and a special interest in getting new technologies up and running in the real world. With decades in the industry, Dan’s engineering experience includes advanced R&D for engine and powertrain technology leaders Westport Innovations, OshKosh Truck, Sturman Industries, Diesel Tech, and Cummins. Most recently, at Westport Innovation he worked as a senior engine development engineer, helping lead a team of thirty in improving the combustion, performance and emissions of heavy-duty natural gas engines for a large automotive OEM. That followed his time at NREL’s ReFUEL laboratory testing advanced fuels, prototype engines and hybrid powertrains to improve technologies for applications ranging from military transport to refuse trucks, delivery vans and city buses. 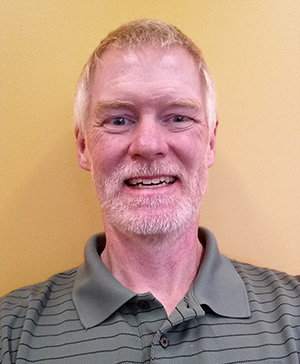 As a senior project engineer at Oshkosh Truck Corporation, Dan developed next-generation commercial and military vehicles, some of which included new and retrofit applications of the OshKosh Defense® series-hybrid ProPulse® diesel-electric system. He also worked on NREL-funded development, testing and analysis to improve heavy hybrid propulsion systems. At Czero, Dan will help lead research and development projects, with a special focus on advanced testing and analysis and improving new technologies for scalability and commercial viability.